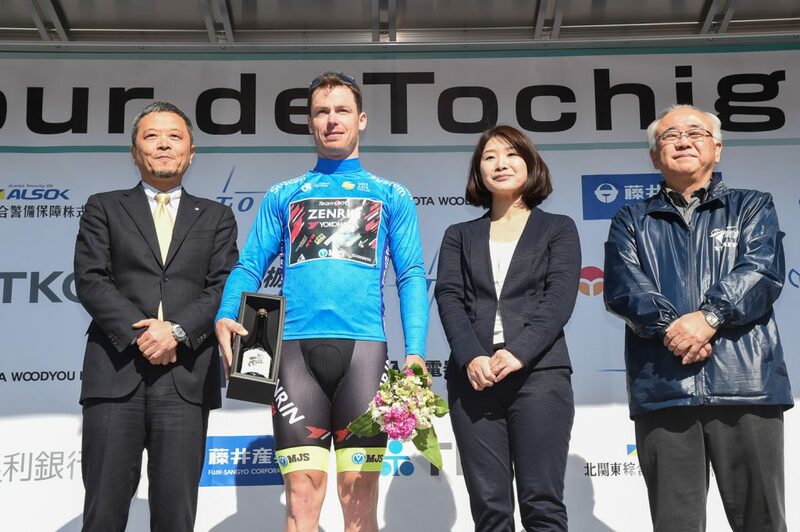 The Stage 3 of Tour de Tochigi, final day of the race was held in 150km course starting from JR Karasuyama station in Nasukarasuyama city, via riding through Sakura city, Nikko city, Kanuma city, Tochigi city and Sano city, and finish at Ashikaga Athletic Park in Ashikaga city. 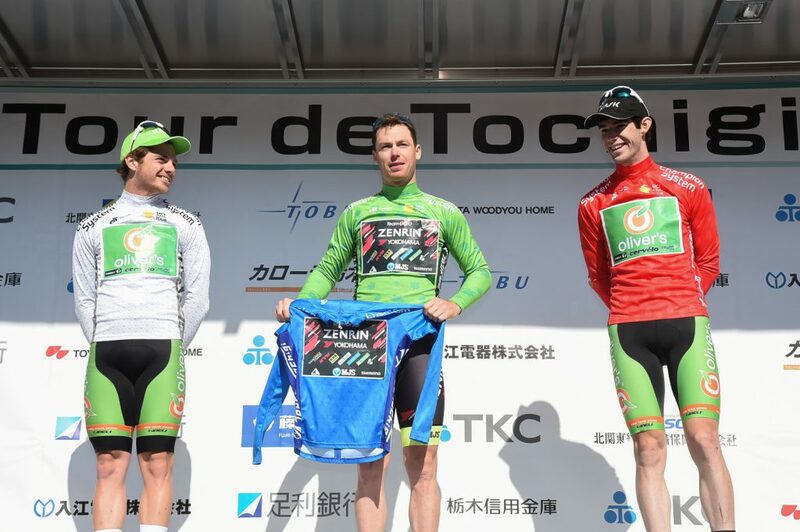 It was only one point to point race this year and the longest course ever in Tour de Tochigi. Intermediate Sprint was set twice, Class 3 KOM once and Class 2 KOM once. After the Stage 2, the GC rank shows the time gap in the top group are very close and nearly 60 riders had a chance to win the General Classification. Even it was sunny day, the wind was cold and getting stronger towards the end of the race. 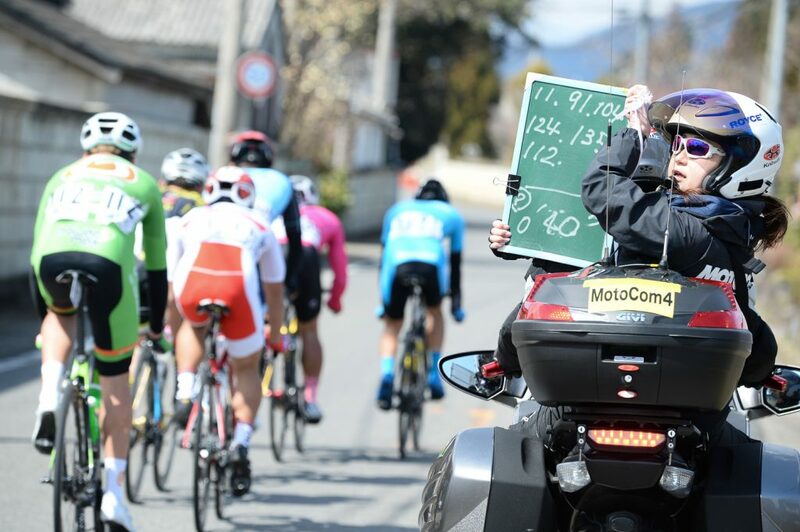 Number of attacks have been made after neutral and Ryu SUZUKI (UTSUNOMIYA BLITZEN) passed first in the Intermediate Sprint point set at 31km in Sakura city multi-purpose park followed by Raymond KREDER (TEAM UKYO). 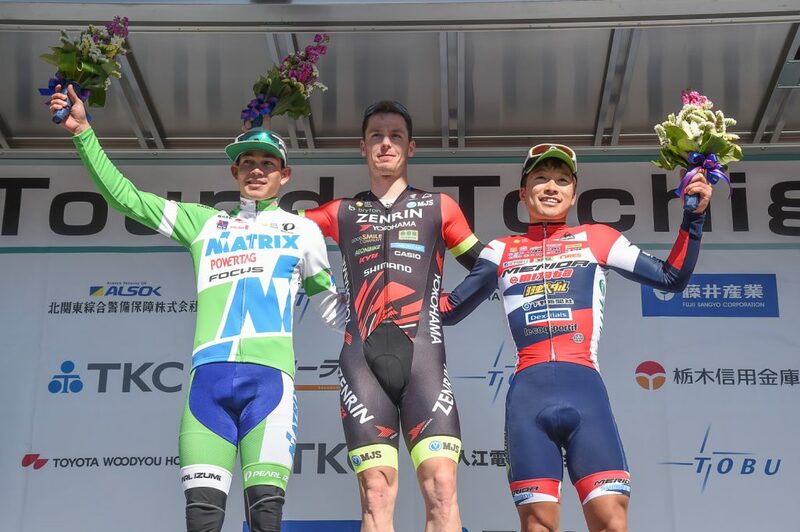 Green Jersey Wearer, Orluis Alberto AULAR SANABRIA (MATRIX POWERTAG) was not in the top three of Intermediate Sprint which could be earned bonus time. 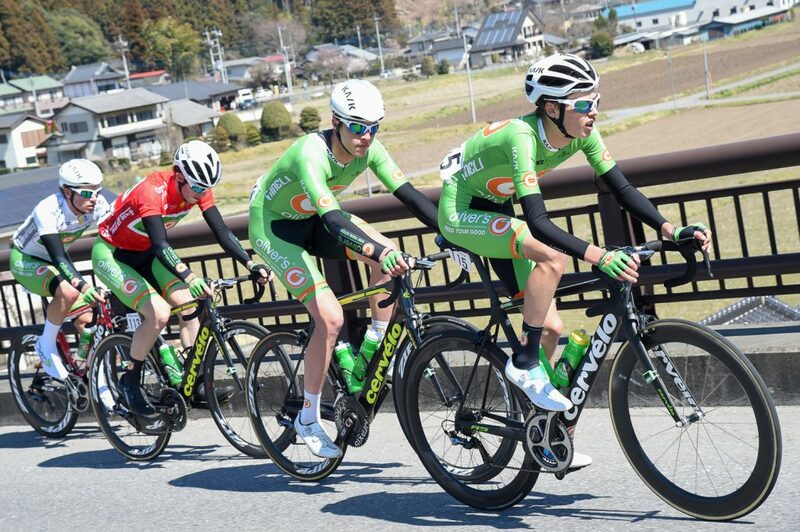 After 40km, 6-rider breakaway was formed, Genki YAMAMOTO (KINAN CYCLING TEAM), Keisuke KIMURA (SHIMANO RACING TEAM), PARK Sanghoon (LX CYCLING TEAM), Conor MURTAGH (OLIVER’S REAL FOOD RACING), Keito NISHIO (NASU BLASEN), Ken SATO (NIHON UNIVERSITY). The time gap to the peloton was expanded to 1min 30sec at a maximum. 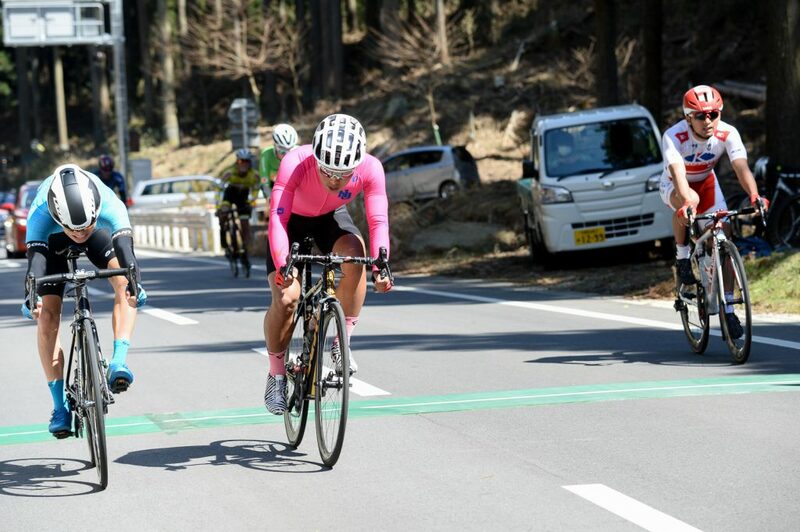 At 85km point, Ken SATO (NIHON UNIVERSITY) passed first at Class 3 Mountain Classification in Kanuma city. After that, the 6-front riders stayed in the breakaway and the peloton tried to catch the front group before 117km point where the Class 2 Mountain Classification was set. Before that, MATRIX POWER controlled the peloton as a leader jersey team and then Red Jersey Wearer, Angus LYONS (OLIVER’S REAL FOOD RACING) came to front of peloton and increased speed. The peloton caught the breakaway just before Class 2 Kind of Mountain point. In the uphill, Angus LYONS (OLIVER’S REAL FOOD RACING) made a solo attack and Benjamin DYBALL (TEAM SAPURA CYCLING), 3rd in GC, chased him. Angus LYONS crossed first at Class 2 King of Mountain point and Benjamin DYBALL second, then DYBALL used the downhill to make a solo attack after the point. 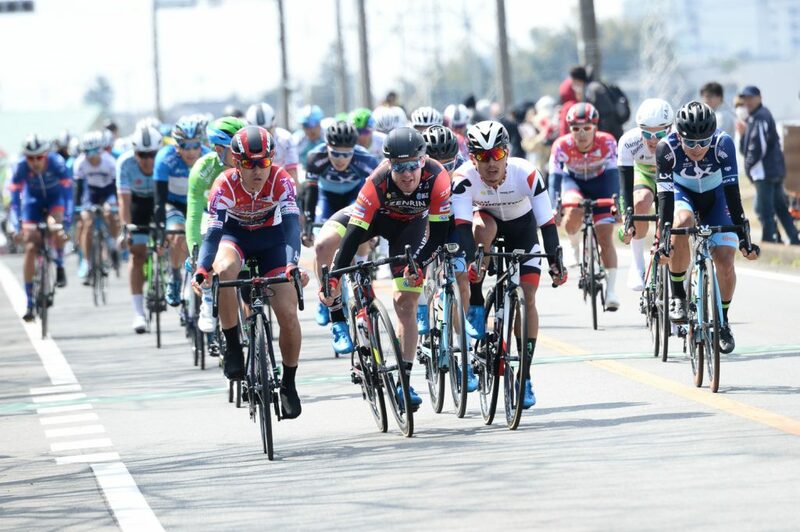 In the uphill, the peloton was splitted and10 riders were in front, Orluis Alberto AULAR SANABRIA (MATRIX POWERTAG), Raymond KREDER (TEAM UKYO) and Atsushi OKA (UTSUNOMIYA BLITZEN). 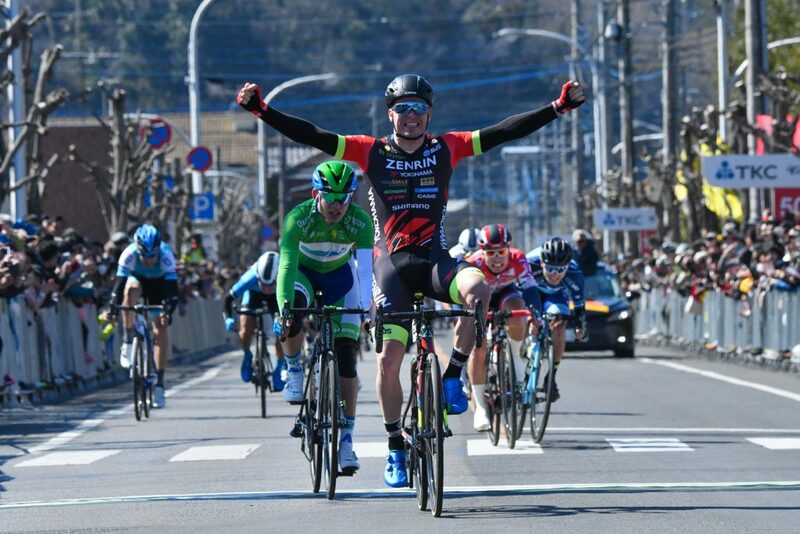 Benjamin DYBALL crossed first at the second Intermediate Sprint which was set at 132km point in Sano Arena Tanuma and then the peloton caught Benjamin DYBALL right after the sprint point. In the last 10km, the riders rode into Ashikaga city, finish area without any attacks and got into sprint finish. 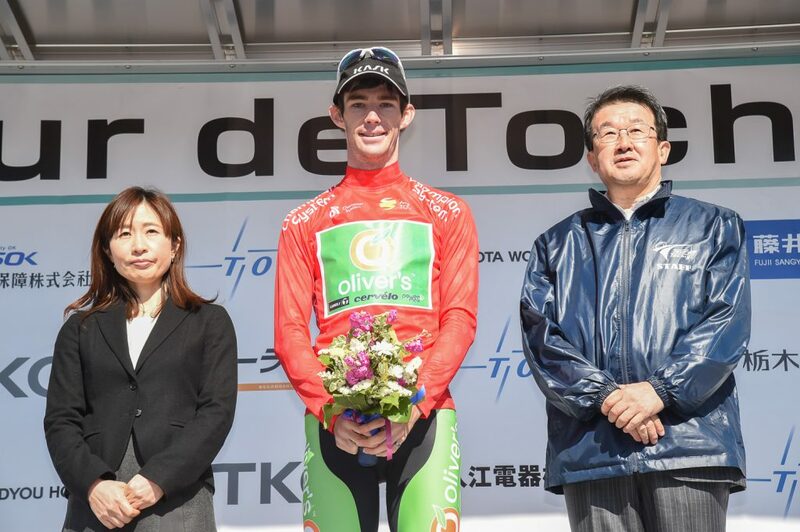 Finally at 200m to go, Raymond KREDER (TEAM UKYO) attacked and claimed victory for the 3rd Tour de Tochigi, followed by Orluis Alberto AULAR SANABRIA (MATRIX POWERTAG) and Atsushi OKA (UTSUNOMIYA BLITZEN). 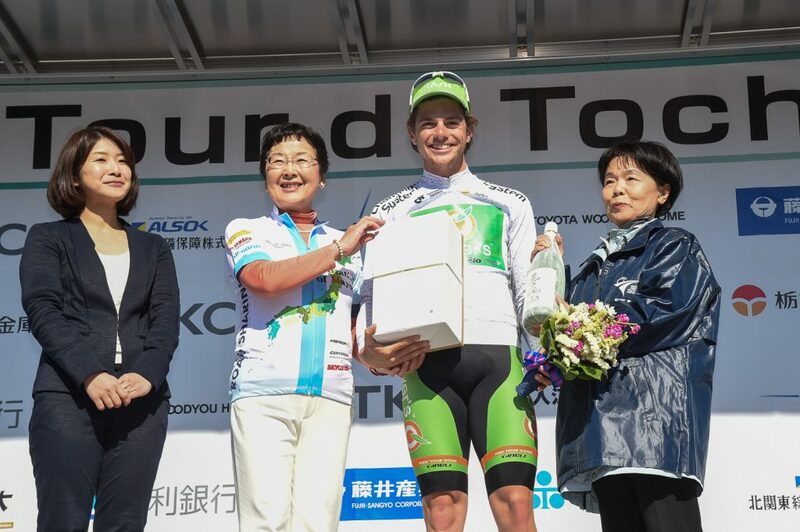 In the end, Raymond KREDER (TEAM UKYO) gained 4-second bonus time of Intermediate Sprint point and 10-second bonus time of the 1st place in Stage 3, 14 seconds in total and became Winner of the 3rd Tour de Tochigi, beating Orluis Alberto AULAR SANABRIA (MATRIX POWERTAG) who gained only 7-second bonus time. The best Japanese rider was Atsushi OKA (UTSUNOMIYA BLITZEN) who was in the 3rd place today and 4th in GC and Kota YOKOYAMA (SHIMANO RACING TEAM) ranked the 10th place. 特定非営利活動法人ツール・ド・とちぎの会 | ©ツール・ド・とちぎの会 All right reserved.